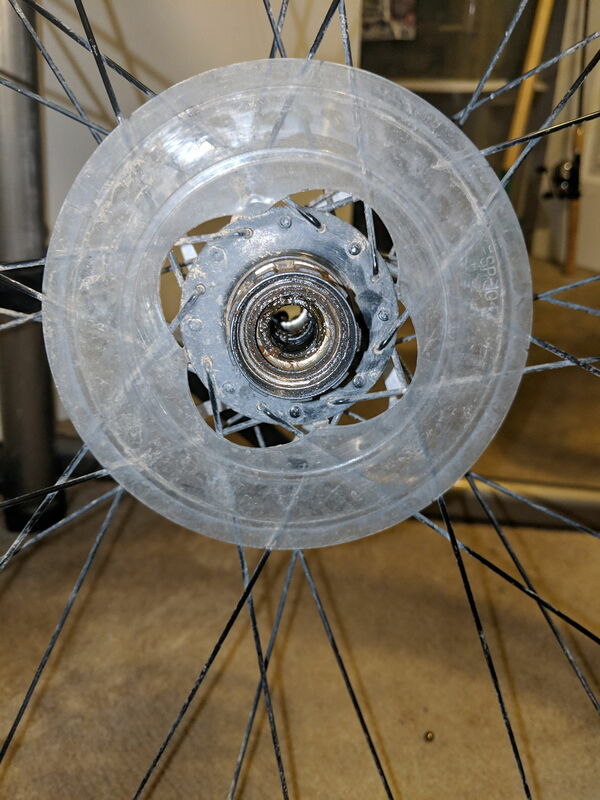 My freehub has been making this ticking sound so before spring gets here I was hoping to remove it and clean everything out but after doing more searching on the web I'm thinking it might be all part of the wheel and cant come off, My bike is a 2014 Giant Talon 4 27.5. I tried a 10mm key but its to small and I don't have anything larger. any help would be appreciated. Also any recommendations for getting old grease? 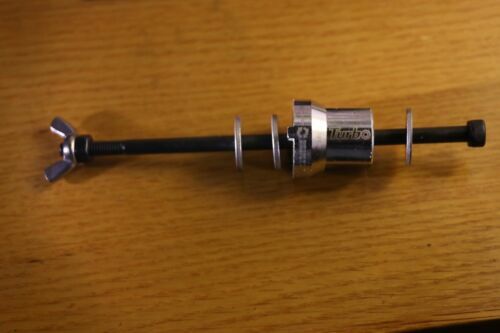 Would make sure that it is the freehub first, then ID the make (according to the Giant website, they are Giant Tracker Sport, 32h), can you can't get spares? If you want to start cleaning it out, are you sure that you can remove it and more importantly re-assemble it? not sure what its called between the pedals/crankset that is housed in there but I had that replaced last year when it was making a popping noise every time I put pushed down with my right pedal. 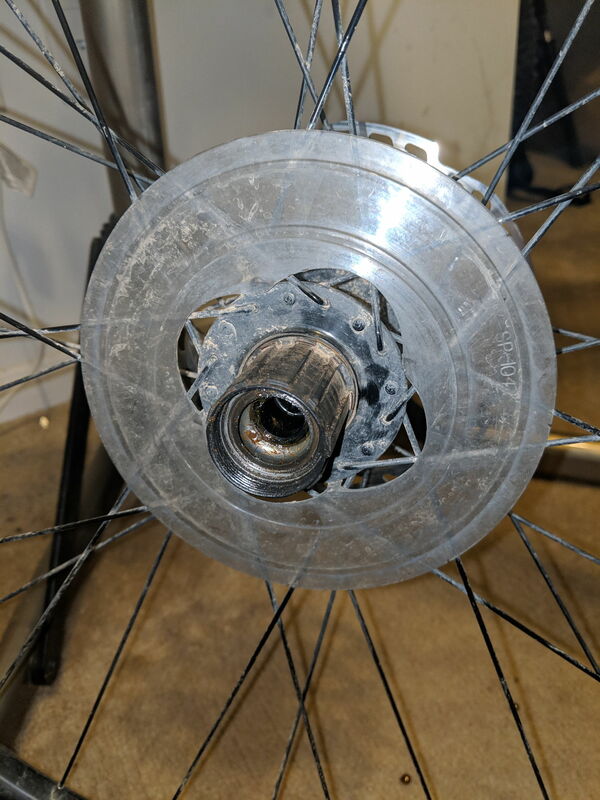 I'm pretty sure its the freehub it only makes the noise when riding at a decent speed and when not pedaling, if pedaling or coasting slowly it does not do it. I was hoping to remove it to give it a better cleaning but now I'm not sure it can be removed at all so was hoping to get confirmation. I guess I was just under the assumption that all freehubs were removable as well as them needing cleaning every so often. If it can't be removed that's ok I just wanted to check in case cleaning it up does not help and I need to replace it. From the Youtube videos I saw removal does not seem to be that hard and it actually wasn't it's just I'm stuck at the part of getting the freehub off and a 10mm Allen key is too small and when looking at it I'm not sure an Allen key will get it out. When you guys are cleaning your freehubs do you normally fully remove them from the wheel or leave them on? That looks to me like one of the Shimano hubs. Similar to the: M475 or M525 hubs. I think it is a 12mm Allen wrench that you need, but I just use whatever fits. Standard Counter-Clockwise turning. However, as I understand it, the Shimano freehubs are a unit not meant to be disassembled. Some people have "flushed" them. I think people use a fork shaped tool made out of an old socket to disassemble them. Or, here is an aftermarket tool. You may not even need to remove the freehub from the wheel to disassemble it. But, be prepared for lots of small parts. Here is your M525 parts diagram: The M475 is similar. I dont plan on taking the freehub apart I plan to just remove it so I can get cleaned up as best i can. I will see if I can find that tool or a 12mm Allen key. From what I remember the cheaper hubs Giant uses cannot be disassembled. I would just wear out the wheels and then replace them with something with nice sealed bearings and one that can be disassembled hub wise. Or save up the money and get an entire new bike with better components throughout and save yourself a lot of headaches and hassles dealing with lower end parts and spend more time riding in peace and relative quiet at least from bad noises from the bike. If you absolutely cannot avoid getting new parts or a new bike then use a cloth, an old toothbrush and a bit of degreaser and some elbow grease and clean out some of the old gunk and then maybe spray some tri flow inside. Most likely a Joytech hub. The freehub body is removeable with either an 11 or 12mm allen wrench. It's been a while but I took one off that required an 11 outside and a 7/15 inside. Ain't standards grand! So went to my LBS and he wasn't able to remove the freehub either with Allenllen wrenches he had and when looking inside it does not have the two slots or even 4 for a special tool. looks to be fully attached to the wheel. So I cleaned up the bearings and put in new grease but it did not help with this noise I am getting. I took a video and hopefully someone can tell me what they think. If you watch the video something is grinding or knocking in the rear. it only occurs when free spinning, when pedaling you don't hear it. and it's weird if you watch the video when I move the pedal the noise will actually stop. I'm pretty sure I need to replace this wheel but curious if its the freehub or the hub itself. I put the video in my visitor's section of my profile not sure if someone wants to post it for me since I'm not at 10 posts yet. at the lower cost end , some hubs were not made to be serviced, but keeps the selling price of whole bike low..
in that case just have the bike shop order a pre built wheel with a hub that is made to be serviced..
Shimano a good choice .. Does anyone have any good websites to order bike parts from? I am doing some searching for wheels and not really sure I want to throw $400 or $500 wheels on a lower end bike. Just want something decent that will hold me for another year or two and then hopefully I can upgrade to a newer full suspension bike. 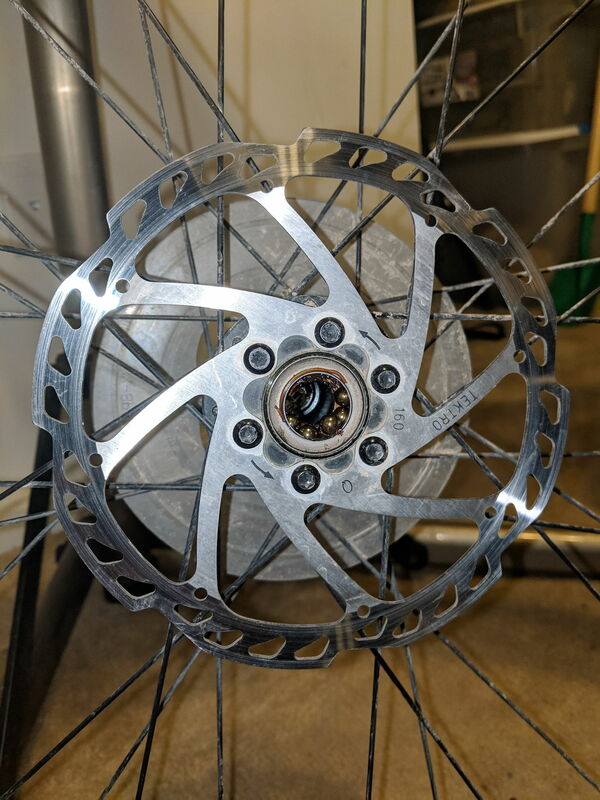 I found this website jensonusa that had a rear wheel with freehub for $120 it's a Mavic wheel not sure if anyone has used that? Went to LBS and had them order me a new wheel since cleaning up the freehub didn't help. hopefully, I can get a few years out of this one so I can save up for a new full suspension bike. Shimano loves the loose bearings as they are easy to service. If only they did the same with their freehubs. I have to replace the freehubs every few years and they cost almost as much as a complete hub. Bad Shimano... Bad bad Shimano. difference is hubs sell by the billions to build bike wheels for building bike manufacturers ..
repair parts are bought as an Each , at your local bike shop.. Very big difference in economies of scale .. If you are using these hubs on an MTB, perhaps the mud and dust are what's ruining them. I have Shimano hubs on all of my road bikes and the freehubs last for tens of thousands of miles. I have an old (7700) Dura Ace freehub with well over 50,000 miles and a couple more newer Shimano freehubs with 40,000+ miles and they still perform perfectly. I do remove the bodies from the hub shells every year or two, remove the rubber rear seals and flush them with Tri-Flow. Drain the excess and reassemble and good for another couple of years and 6,000 or so miles. BB30 query - which creaks less?